Rogue River, OR (December 2013) – Wagner Meters is excited once again to be attending World of Concrete 2014, and will be taking part in a number of activities there. 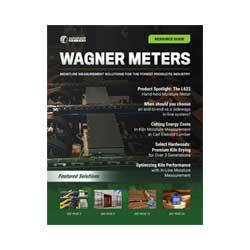 Wagner Meters is very pleased to be part of the Quality in Slabs Luncheon & Forum on January 22 at 11:30 am. “This luncheon provides a great way for people to connect and share ideas,” says Jason Spangler, sales manager for the Rapid RH®. “Last year’s luncheon was a great success,” says Spangler, “and we’re looking forward to taking part in it again.” The luncheon includes a panel of industry experts and an open Q&A to discuss the latest in concrete repair news. For specific information on the luncheon, visit http://worldofconcrete.com/Attendee/Schedule/SessionDetails/12435. Wagner Meters will also be part of a press conference and, of course, will be on hand to present the latest information in concrete moisture testing innovations. Stop by the team’s booth, Booth S12149 for demos, information and an introduction to their cutting-edge RH testing technology, including the MIP Award-winning Rapid RH® DataMaster™. For a look at the complete line of award-winning, industry-compliant, accurate and cost-effective Rapid RH® products, visit us at www.wagnermeters.com/concretemoisture.php.